When 15% of U.S. households are facing food insecurity, and households with children facing food insecurity is at nearly 21%, we need to find ways to help our neighbors in need. Shoe Away Hunger is a partnering program where footwear is turned around to provide an eco-friendly means of support for our Feeding The Futures programs. We work with individuals, businesses, churches and schools. View the Shoe Away Hunger bus schedule below to find out when & where the bus will be next so you can purchase shoes. 16th– Cedarcrest Church (in the building), 1630 E 90th St., Bloomington, MN 55425. From 5-8 pm. 17th– Cedarcrest Church (in the building), 1630 E 90th St., Bloomington, MN 55425. From 10-2 pm. 23rd– Cedarcrest Church (in the building), 1630 E 90th St., Bloomington, MN 55425. From 10-2 pm. 24th Cedarcrest Church (in the building), 1630 E 90th St., Bloomington, MN 55425. From 10-2 pm. 30th– F4A- Eden Prairie- Pax Christi Catholic Church (9466)- 12100 Pioneer Trail, Eden Prairie, MN 55347. From 3:30-5:30 pm. 2nd– Shoreview- YMCA (8118)- 3760 Lexington Ave. N., Shoreview, MN. 55126. From 10-1pm. 6th– Maplewood- F4A- Redeeming Love Church (1072)- 2425 White Bear Ave. N., Maplewood, MN 55119. From 3:30-5:30 pm. 7th– Bloomington- Cedarcrest Church (in the building), 1630 E 90th St., Bloomington, MN 55425. From 5-8 pm. 16th– Blaine- F4A- Christ Lutheran Church (6504)- 641 89th Ave NE., Blaine, MN 55434. From 3-5 pm. 21st– Bloomington- Cedarcrest Church (in the building), 1630 E 90th St., Bloomington, MN 55425. From 5-8 pm. For questions about the Shoe Sales or volunteering, please contact shoeawayhunger@goodinthehood.org. It’s easy. Simply collect your new or gently-used footwear including sneakers, sports shoes, casual shoes, boots, flip flops, ice skates, etc. Encourage your friends, relatives and neighbors to do the same. Tie or band them together, place them in a plastic bag to keep them dry. 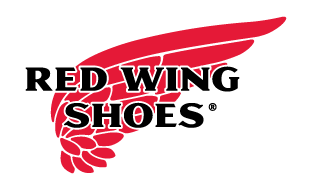 Your shoes can be dropped off at any of these Schuler Shoe Store locations: https://www.schulershoes.com/stores If you are planning to drop off 50 pairs or more, please call ahead of time to arrange drop off or a pick up: 612-440-7463 (SHOE). We encourage you to host a community shoe drive campaign as an eco-friendly way to keep shoes out of landfills and to support our efforts to provide hunger relief. The impact is truly amazing. For every 1 pair of new or gently-used footwear received, our Shoe Away Hunger program is able to feed one more person with up to 7 days of essential groceries through our Feeding The Future programs. Did you know we have two Shoe Buses that are on the road hosting events several times each week to bring quality footwear to those in need? These mobile shoe stores enable us to bless our community and to provide affordable quality footwear for those who are economically disadvantaged. In addition, it helps us to raise the important dollars we need to continue feeding over 4,000 people each month through our Feeding The Future programs and services. Shoe Away Hunger offers a simple and meaningful way for you to join with us as we strive to eliminate local hunger “one sole at a time”. A gift of only $250 will cover the operational costs for an entire event. A single bus event may serve as many as 100 households with the double blessing of bringing crucial support for the hungry. We invite you to take a moment to view our new video below to learn more. Will you partner with us TODAY? Your gift makes a BIG difference for our neighbors in need. You can donate to this important program here. For more information, please contact us at shoeawayhunger@goodinthehood.org or call us at 612-440-7463 (SHOE) . Greene Espel, a downtown Minneapolis law firm, fielded a Shoe Away Hunger shoe drive. Michelle Menk, project champion and coordinator, said their office closets were overflowing in tennis shoes, men’s and women’s casual and dress shoes, flip flops, sandals, boots and even ski boots. Greene Espel’s efforts yielded about 700 pairs and nearly 1,000 pounds of footwear!